In many cases, the garage door is used more often than the front door to enter the house. The garage door not only secures the garage but also the whole house, and it is important that it is always in good working condition. However, because it is used so often, sometimes, things can go wrong. From wear and tear of the open/shut mechanism with prolonged use to damage caused by an impact, garage doors can find themselves in a less than ideal operating state. When a garage door isn’t working properly, immediate action is required; but how do you tell if you need to get the door repaired or replaced? When you call your garage door repairs company, you too should be informed about what is the best course of action. You neither want to spend too much on a new door when a few repairs would have the old door as good as new nor do you want to repair an old door whose time has clearly passed. When Should You Get A Garage Door Repaired? If your garage door was working fine one day and then doesn’t work the next, there is a possibility that there is an easy fix. After making sure that it’s not just the batteries of the remote that need replacing, you can call the garage door maintenance company. It could very possibly be just something jamming the mechanism that needs to be removed. 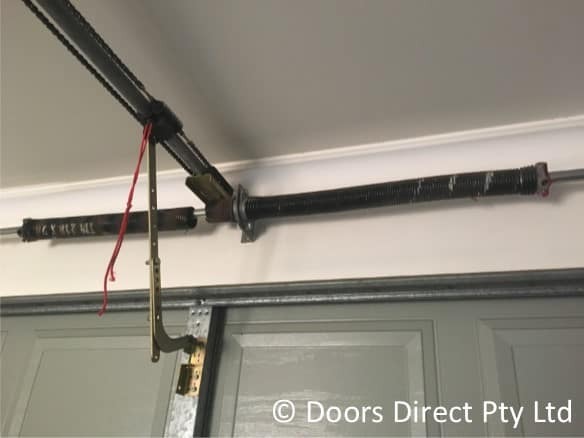 If you notice that your garage door has started to run more slowly than usual, then it could be the springs in the lift mechanism that are wearing out. This is especially true if you have been using the door for a few years already. Call the garage door maintenance company as soon as you notice the door moving more slowly than usual. An inspection of the springs will let you know whether or not they are the problem. If it is the springs, then just replacing the springs will suffice and there is no need to replace the whole door. If just one panel of the garage door has been damaged, everything might still work fine, and you might not even think about getting it repaired. However, it is better to have any damaged parts repaired so that they don’t affect the integrity of the whole garage door over time. When your garage door doesn’t close evenly- one side touch down fully, but the other doesn’t- the springs on one side could be affected. This problem can also be repaired by replacing the springs and rehanging the door. If left unchecked, however, the extra stress on one side could cause more extensive damage to the lift mechanism. When Should You Get A Garage Door Replaced? If you get one thing repaired and some other problem crops up, you might need to consider replacing the door. Old garage doors especially would have exhausted their lifespan and need to be changed. If the garage door repair mechanic informs you that the door is too worn out and needs to be replaced, you can ask to see the damage first and then make an informed decision. Do keep in mind that old garage doors that have repeated problems become a safety hazard. 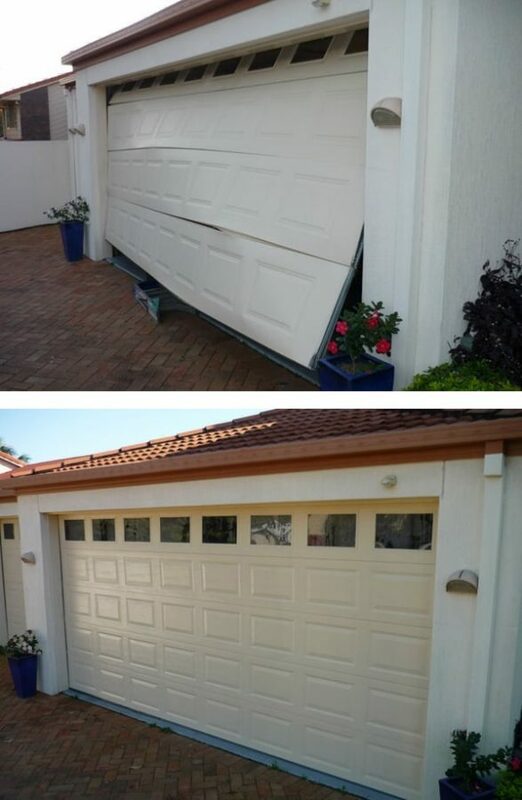 If there has been an accident like a falling tree branch or impact from a vehicle that has caused extensive damage to the garage door, then it will need to be replaced. If a door has received severe damage, there is no point in trying to repair it; it might be cheaper to replace the garage door altogether. Some older garage doors lack the safety features that new doors have. Sensors on new doors can prevent a door from closing when a child or pet is in the way. If you are now a parent with little ones running around, you might want to consider getting a new ‘state of the art’ garage door with safety features. Doors Direct are a reliable and verified garage door repair company. Call us for a consultation, and we will provide honest and professional advice on whether your door needs to be repaired or replaced.